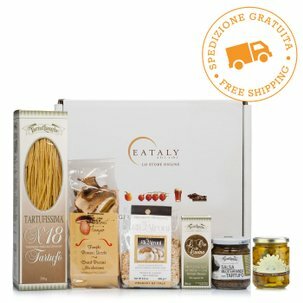 Eataly has selected a series of top quality products and packed them in a gift hamper for your friends or for your home, with everything you need to add that little extra to your favourite recipes: perfect for the creative cook. 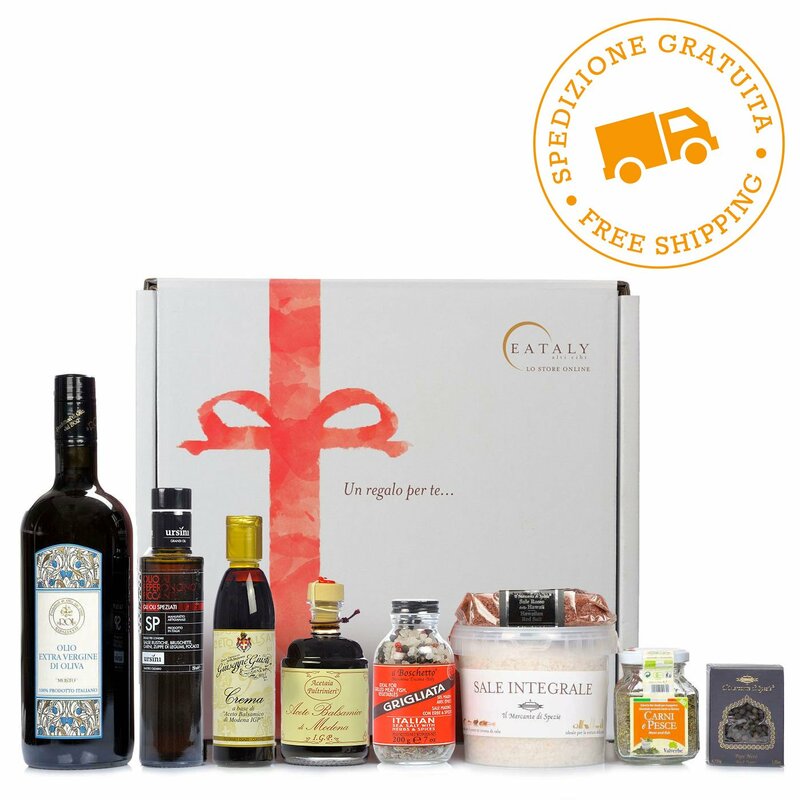 Balsamic Vinegar from Modena IGP 250ml:Trebbiano/Lambrusco grape must 70%, wine vinegar 30%. Contains natural sulphites. Mountain Aromatic Herbs Meat and Fish 35g:Rosemary*, thyme*, savoury*, bay leaf*, sage*, oregano*. *ingredients from organic farming. Chilli Pepper Oil 250ml:Extra virgin olive oil 95%, chilly pepper. Balsamic Glaze 250ml:Balsamic Vinegar of Modena IGP (wine vinegar, cooked grape musts), cooked grape musts, glucose syrup, modified corn starch. Contains sulphites.